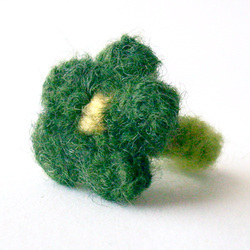 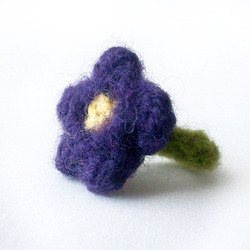 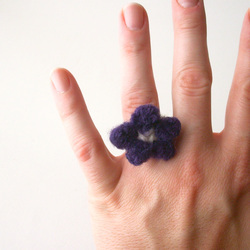 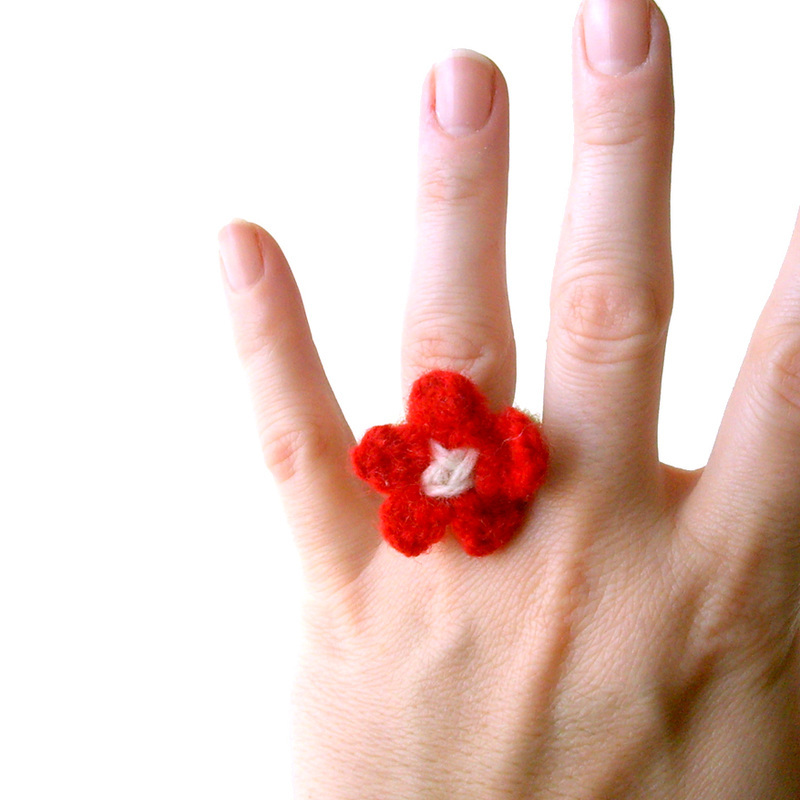 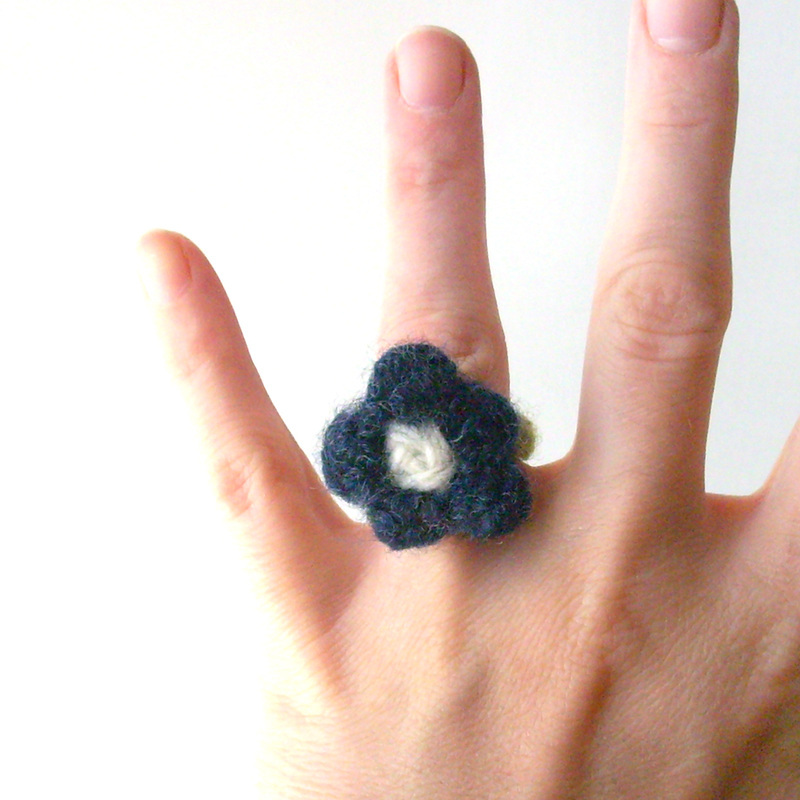 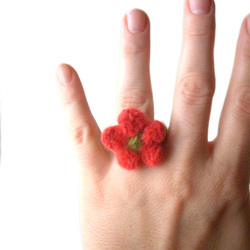 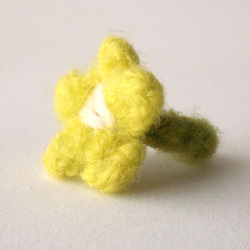 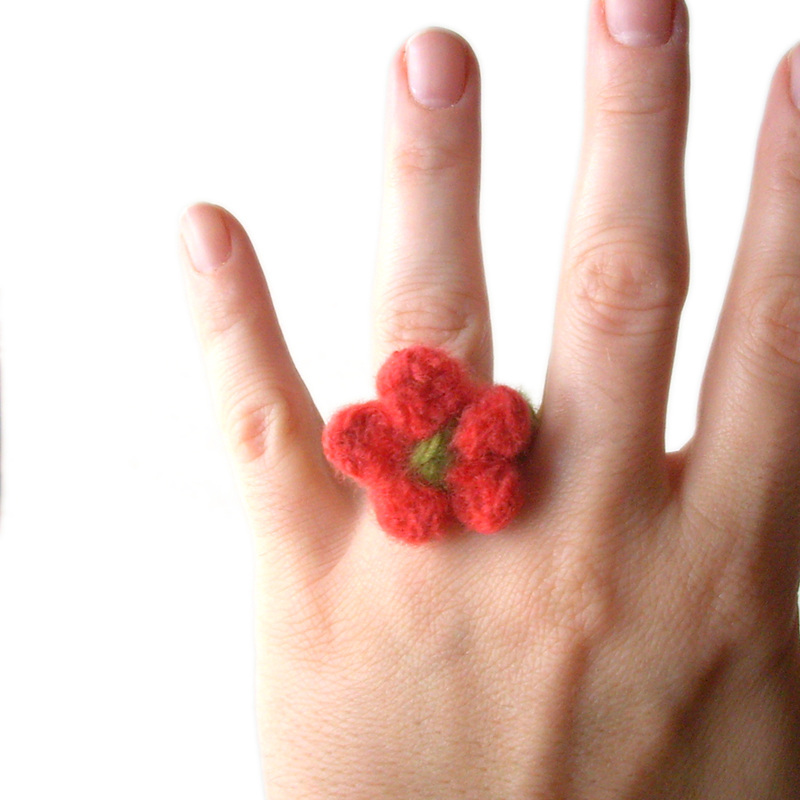 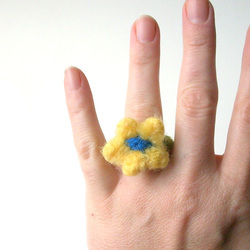 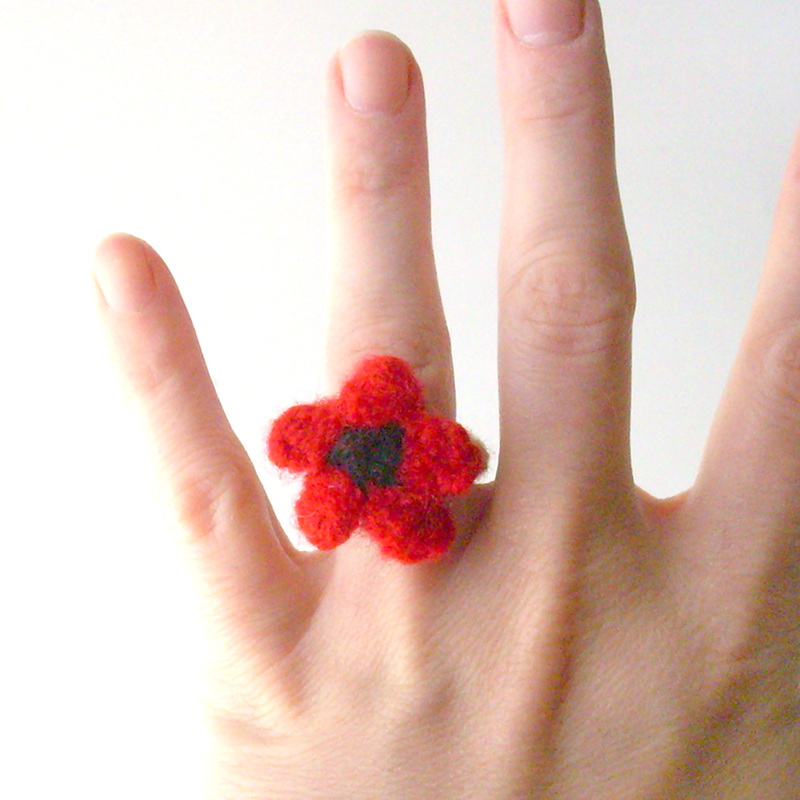 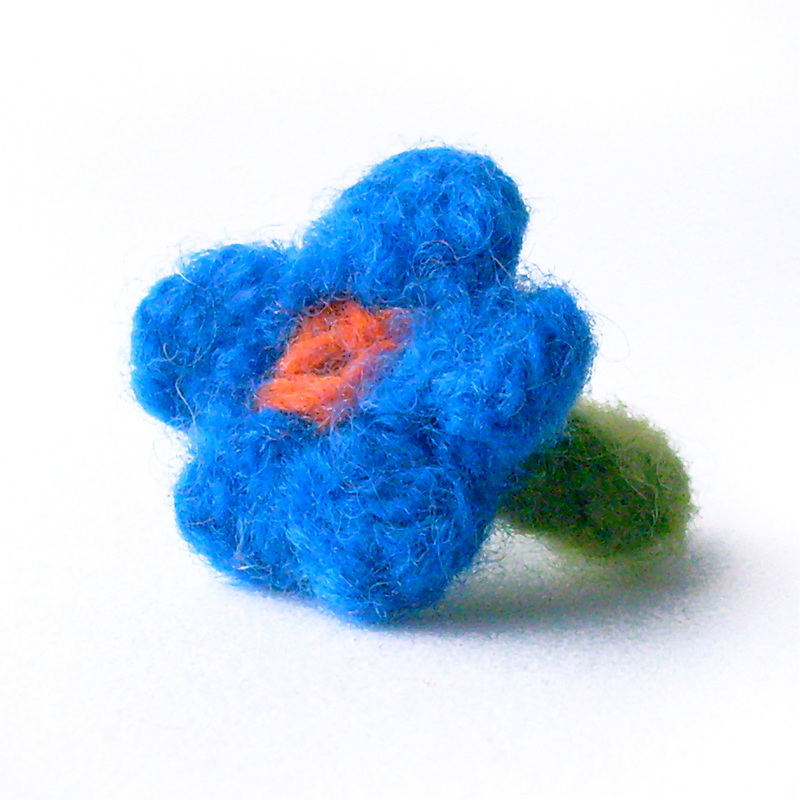 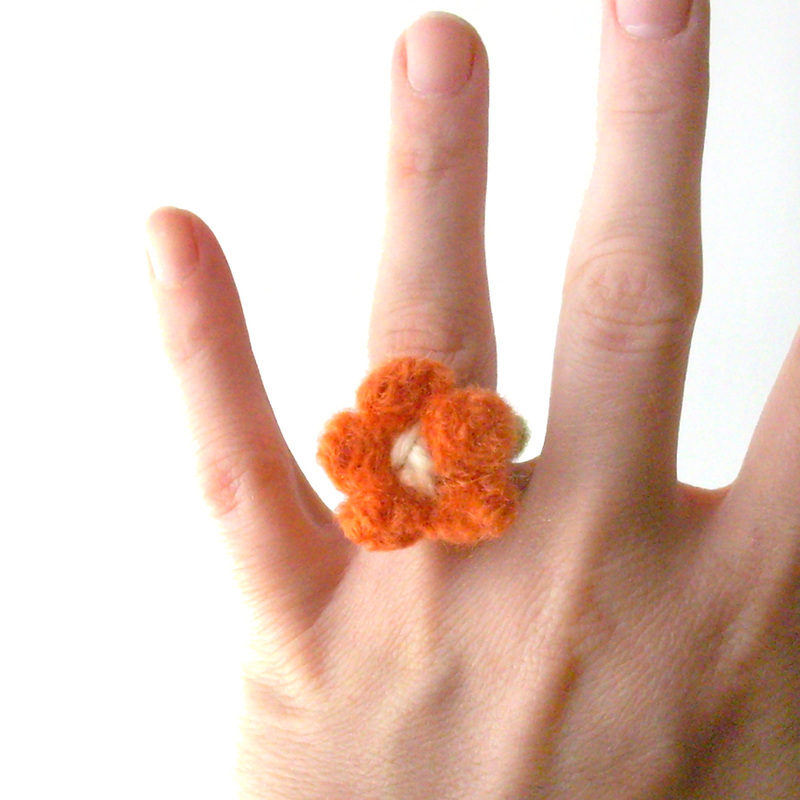 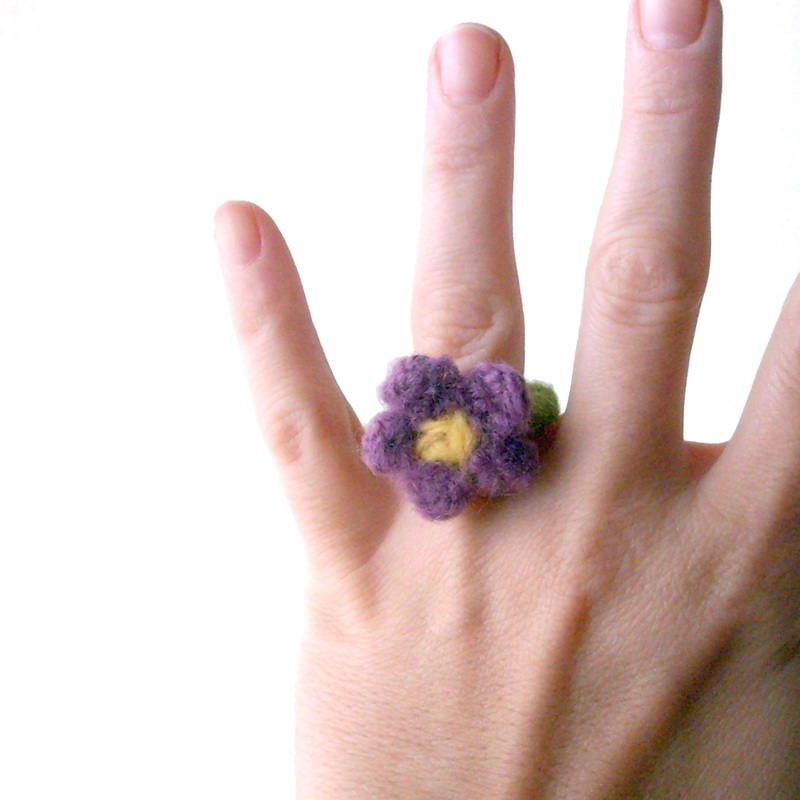 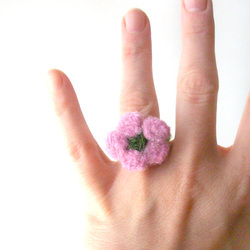 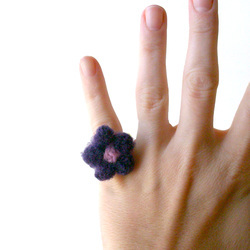 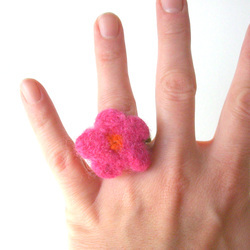 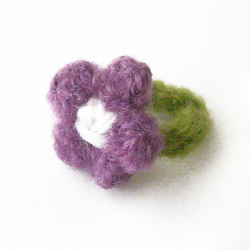 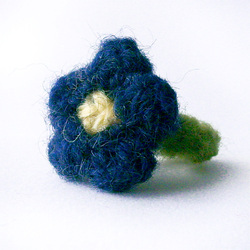 These funky little felted flower rings are lightweight, super comfortable to wear, and great for all ages! 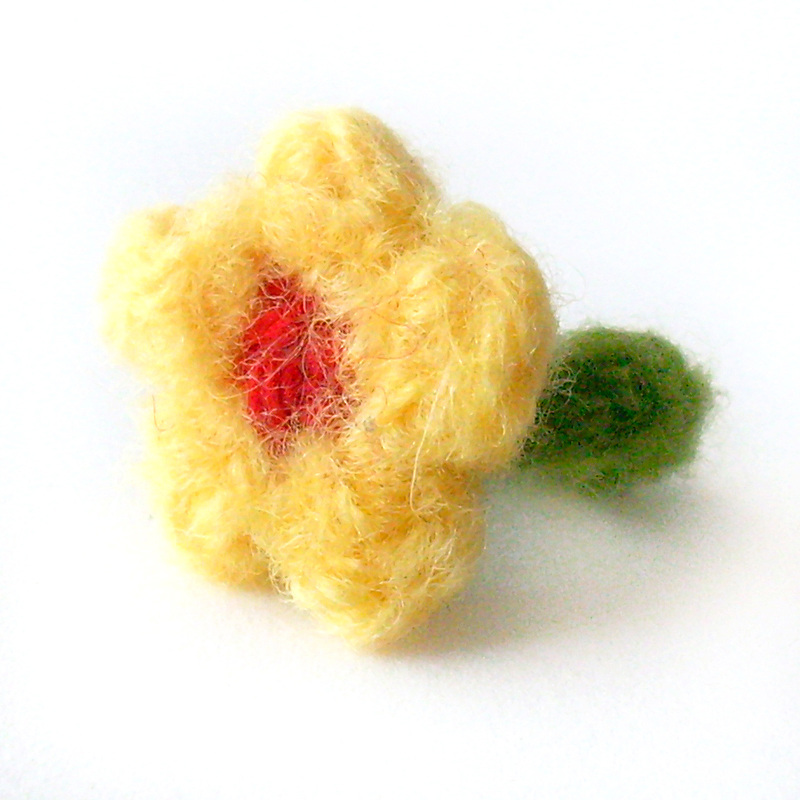 Each flower is twisted into a basic flower shape with 100% wool yarn. 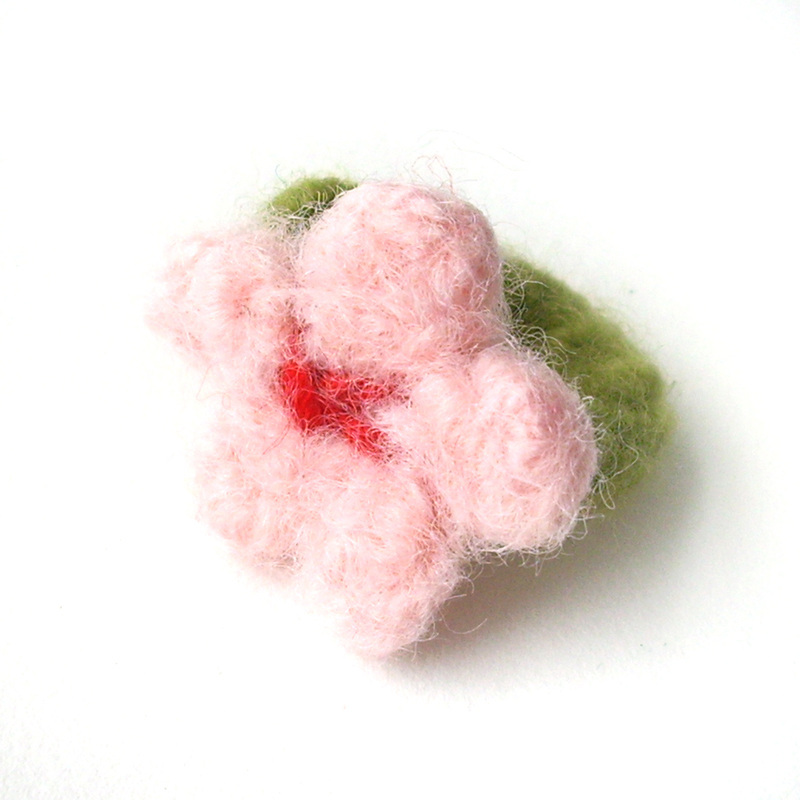 They are then "fulled" or felted by agitating them in hot soapy water, which causes the fibers to shrink down and mat together to form a solid felted flower. The flowers, which measure approximately 1 1/4" (3.2 cm), are then securely stitched to a leaf green felted wool band. 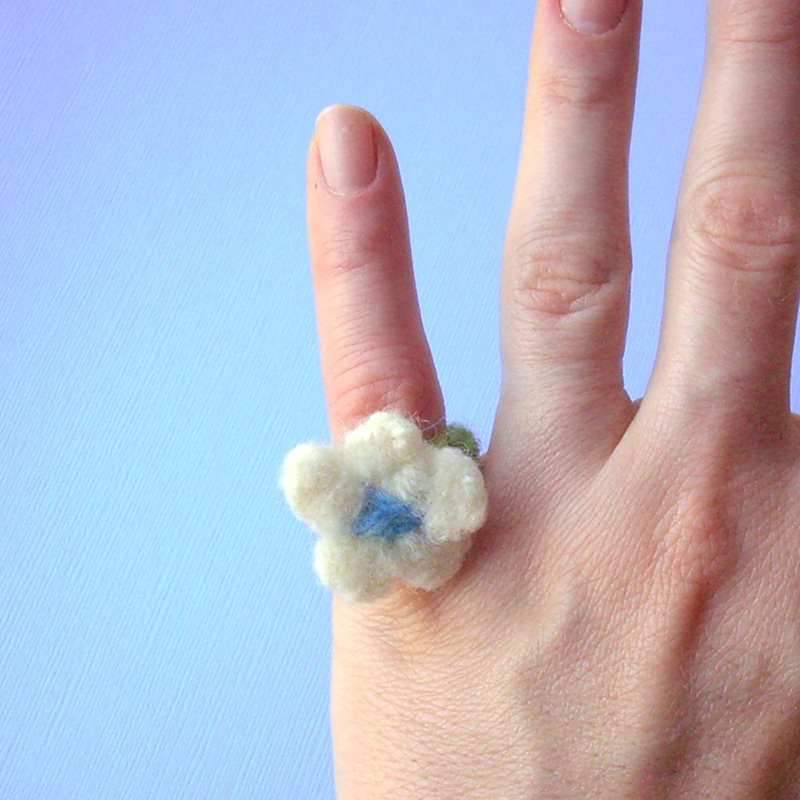 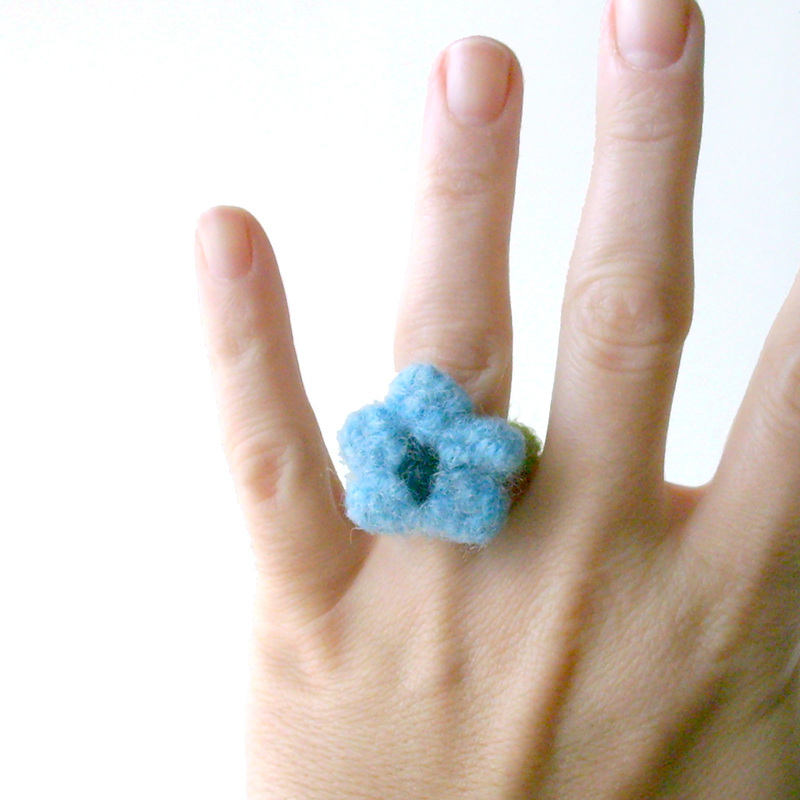 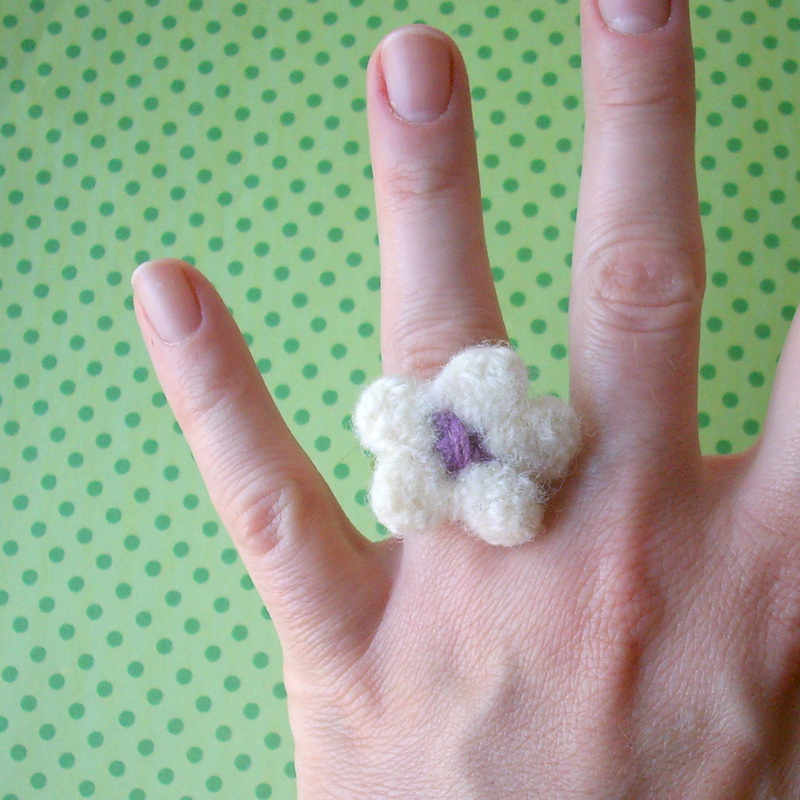 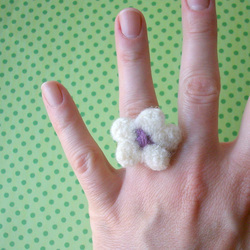 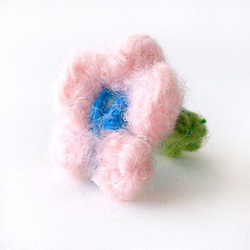 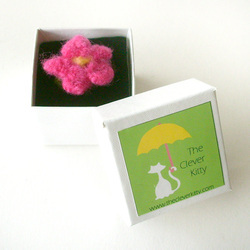 Felted flower rings come in a gift box (containing 100% recycled box board), perfect for gift giving! Available in my Etsy shop.